It’s tough to own a smartphone, in fact most of us, bump, drop, lose and really are tough on our smartphones. In seeking out what makes a great smartphone case, I have come up with 3 highly desirable characteristics of smartphone cases that leads the way to a purchase! Something is happening whit smartphone cases that is making them smarter than the phone and I am all over this! Personally I thought the best new thing on smartphones cases was the ability to charge your phone with a case on, making it totally awesome for those of us on-the-go (the whole world). But there is so much more to a phone case that makes it appealing to each of us. 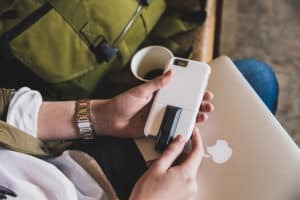 Beyond the protection of the smartphone, there are characteristics that make particular phone cases highly desirable, and it’s all about expanding your phone’s features. 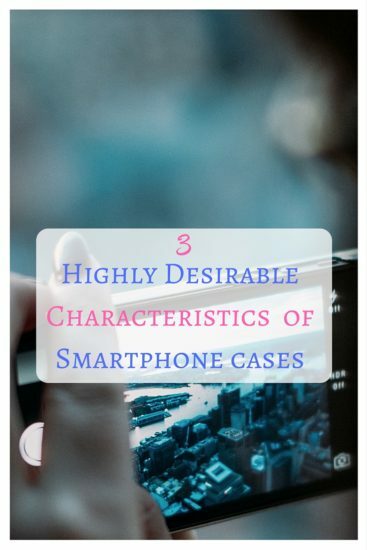 Are you ready to learn 35 highly desirable characteristics of smartphone cases that will let you lavishly live tech out loud? Does your smartphone case have a removable accent plate? Does your case have a sleek design and a screen bumper? Is your smartphone case easy to install or do your break your nails getting it on and off? Can you add modules like camera lenses, card readers, batteries and speakers? If you answered no, let’s take a look at some really savvy characteristics to see out for your next case and where to get them. I am all about the Ultra-slim profile of a case, letting it show off that expensive phone and it’s profiles. Let the world see your phone in all of its essence. I also consider this sleek design, because if you can find a case that offers ultra-slim profiling, generally the design will follow suit. Get that plate off, so you can add feature modules on. Love to take better photos, you need a camera lense, or a card reader or a battery, make sure your smartphone case has a removable accent plate. Dropping a phone is a natural piece of having a phone, because usage is what it is all about. The more your use your smartphone, the more it is out, the more likely to be dropped so make sure that your smartphone case has a good screen bumper on it. Who is making the case that you need to pay attention to? OtterBox partnered with the world’s leading consumer electronic brands to create an entirely new platform. With the uniVERSE Case System, you get the specialized capabilities of our module partners — backed by trusted OtterBox protection. Expand your phone’s features with the OtterBox uniVERSE Case System. The uniVERSE cases are for iPhone 6/6s & iPhone 6 Plus/6s Plus (colors: black and snowcapped). The universe case features a slotted rail under its removable accent plate, letting you securely attach and swap powerful modules like camera lenses, card readers, batteries, speakers and more — without removing your case. This smartphone case is one case that offers endless possibilities and that is why we buy smartphones, to have endless possibilities of usage right at our fingertips. Align your phone with a case that offers 3 highly desirable characteristics of smartphone cases and lavishly live technology out loud! I have been compensated in the form of a Best Buy Gift Card and/or received the product/service at a reduced price or for free, however my thoughts and opinions are offered and are my own as I lavishly live life out loud and share it with you. Informative article for those looking for this subject. I definitely advocate for the slim profile to show off my device. And I know too many people (including myself) who have/had a cracked screen, so screen bumpers are a complete must. Many people by phone cases in hurry and then end-up into buying one which they either stop using or get the new one. All the 3 characteristics you mentioned here are very true. Cases must be slim, stylish yet made from the good material to provide the protection. For me it is all about the balance of protection, style and usability! There is nothing worse than a cover that ruins the functionality of your phone, but at the same time there is no point having a cover at all if it cannot provide sufficient protection. 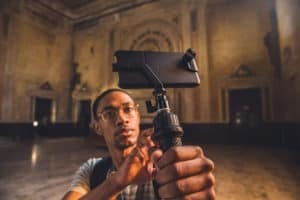 Awesome post, definitely some important things to look for when it comes to purchasing a phone case! Smart phone’s can be very fragile so you always want to make sure they’re protected. thanks for sharing! Having a screen bumper is so important because if you drop your phone on its front and the screen is exposed, then the part of the phone you look at most often can be ruined! Thanks for sharing. I totally agree with everything you say here. Smartphones are an essential in today’s world, so it’s really important that we take all necessary precautions to protect it from damage. Nice job! Thanks for putting this out there!